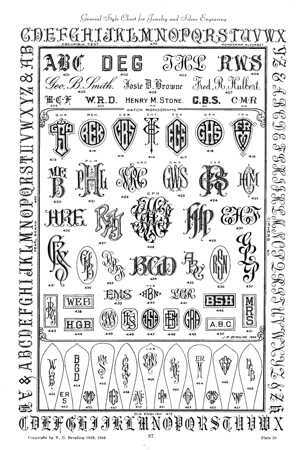 This Book, "Art Monograms & Lettering" by J.M. Berling, has to be the best reference for hand engraving styles ever printed. With hundreds of incredible examples showing a multitue of lettering styles and variations.